We’re all moved into our new house, but are still obviously surrounded by chaos. Boxes are everywhere, the furniture is misplaced in the wrong rooms, the kids are asking where things are… and all those lovely things that come with moving. After we get unpacked and the house is functional, the fun part of really setting up the home and making it ours begins. 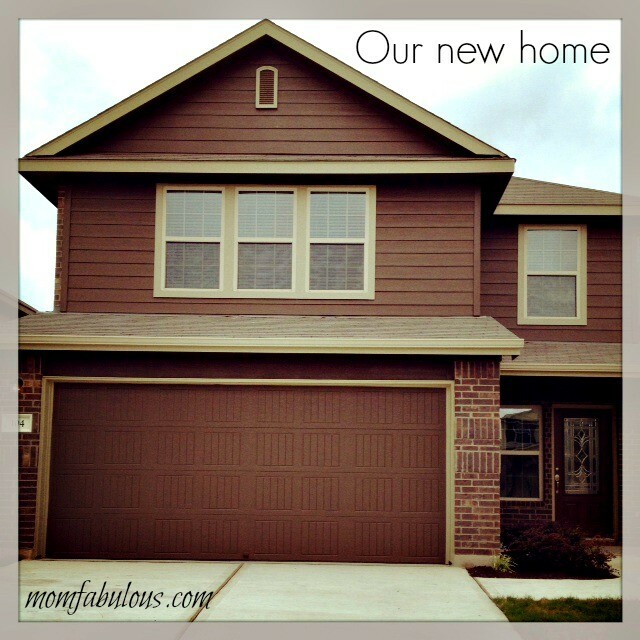 This is our first brand new house and I couldn’t be more excited to start with a clean slate! We’re redecorating just about every room and going with a completely different look. We’ve purchased a black leather couch which the entire family is in love with. 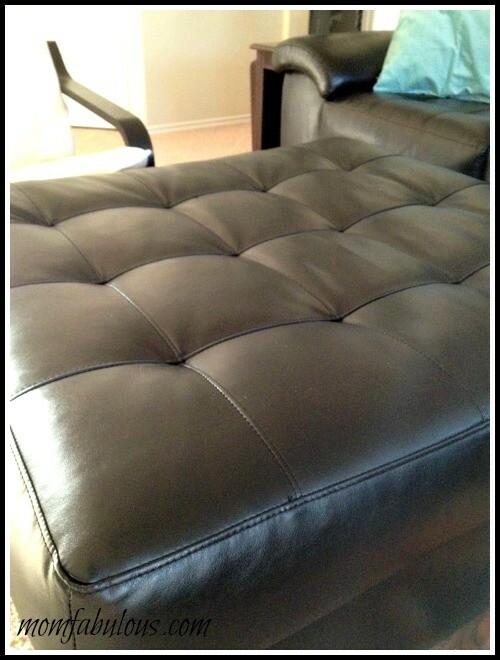 Here’s a sneak peek at the ottoman. Our old living room was filled with mismatched furniture and warm tones such as reds, greens and mustard. Now I’m going with a modern look and colors such as blue and yellow will be the stars of the show. 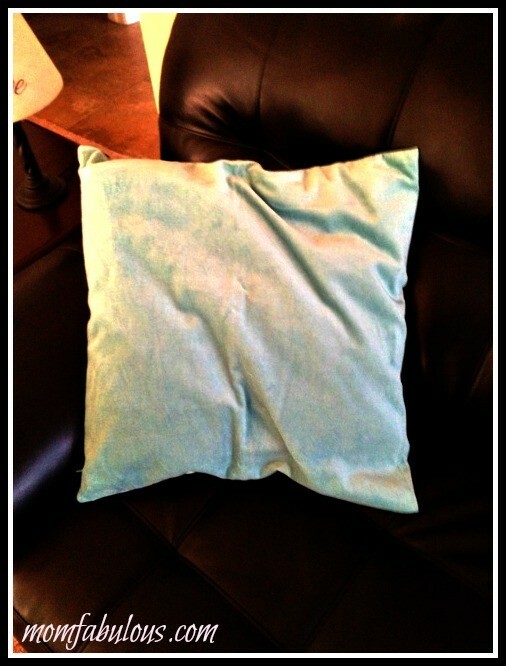 Here’s a sneak peek at one of the pillows. It’s hard to tell from the picture, but the pillows are a sea glass color. Just beautiful and subtle. 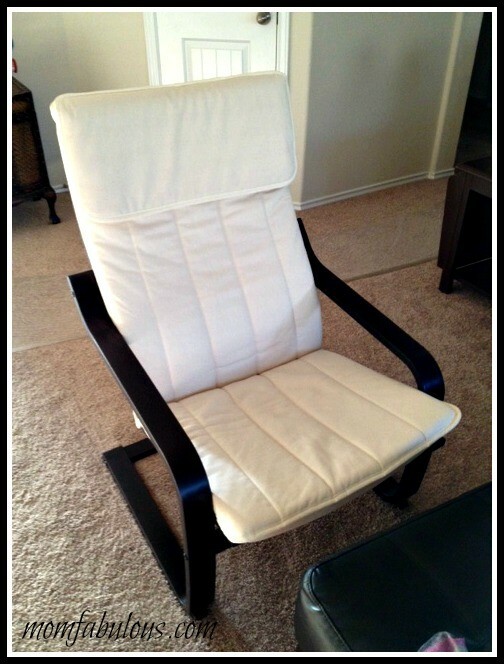 And the last sneak peek is the chair everyone is freaking out about. 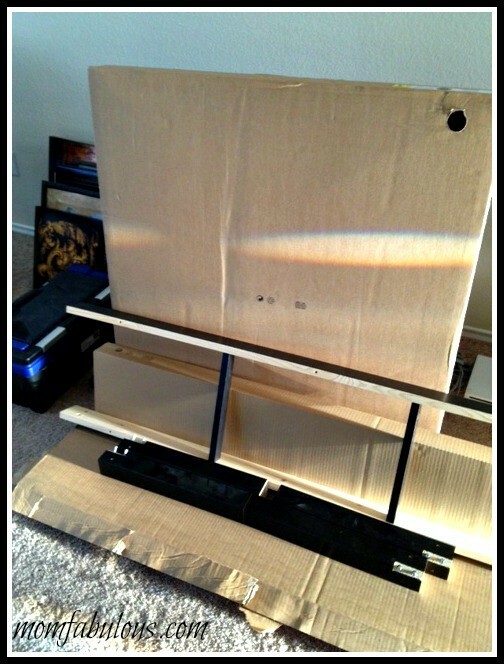 We purchased it at IKEA for $69. It’s part of their POÄNG series and is so comfortable and very enjoyable to kick back in. We still have a very long way to go to get the house set up, but we’re getting there. This isn’t a process I want to rush because I want to do it right the first time. Too many times I’ve rushed through setting up a home, telling myself I’ll fix it like I want later and then later never comes. I’m letting myself realize that rooms filled with boxes like these are okay for now…. Have you recently moved or are you going through a redecorating process? I would love to hear about how it’s going and how you’re decorating! I’ll share pictures of our home and ideas as I pull them together.